Friday wasn’t just draft day for the National Women’s Soccer League — it was also the start of what will ostensibly be a fairer process to distribute allocated players. And it started out with a bang. The announcement of the new process delayed the start of the 2016 NWSL College Draft by over 15 minutes Friday morning in the grand ballroom at the Baltimore Convention Center, which fewer than 24 hours earlier hosted the MLS SuperDraft. And a few minutes later, Portland Thorns FC announced the acquisition of the No. 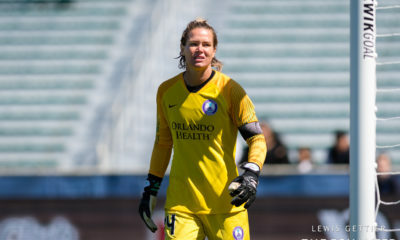 1 pick in the rankings from the Boston Breakers, who in return received the No. 3 overall pick in the 2016 College Draft. Portland is expected to make a groundbreaking move with the selection priority and use it on 17-year-old Mallory Pugh, who is currently in camp with the senior U.S. women’s national team. The new process, meant to “provide an equitable mechanism for distributing the rights to new Unattached Subsidized Individuals to teams in the league,” according to a league statement, resembles MLS’ method of distributing new players to the league. “USI” is the new term for players previously known as “allocated” — those whose salaries are paid by their federations and not by their NWSL teams. U.S.-subsidized players were distributed to teams earlier this week. Canadian-subsidized players are still to be announced but they will be distributed to teams outside of the new USI system. 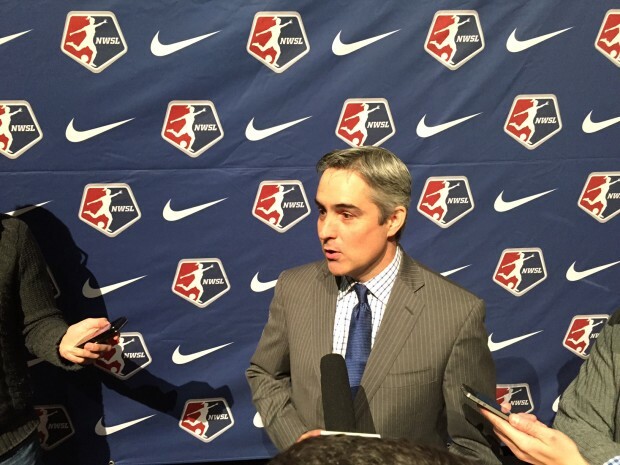 Mexico will not be funding players in the NWSL in 2016, as The Equalizer reported on Monday. Interestingly, the vague language of the new USI system leaves open the possibility of any federation around the world coming to the NWSL — or a team — and offering to pay a players’ salary in order for her to play in the league. Theoretically, this could even happen on a one-off basis for some countries, although that was not discussed on Friday. 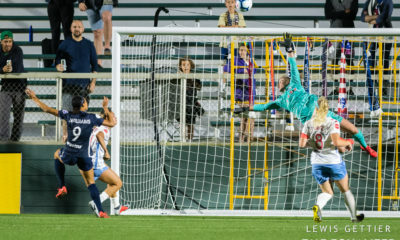 NWSL commissioner Jeff Plush noted that the USI system will also be used for those who lose their federation-subsidized status and must re-enter the league under a standard player contract. 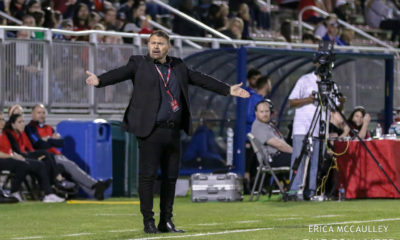 Plush did acknowledge once again that the NWSL is in talks with Football Federation Australia, but that nothing is finalized. The NWSL season operates roughly from mid-April to early October. The W-League in Australia runs from October through late January. International players declining to play in the NWSL have in the past mentioned that the season isn’t long enough and that it ends outside of transfer windows, leaving them dormant for too long. A formal partnership with Australia could solve this and help all players earn year-round livings and play 10-plus months per year, but the NWSL is also interested in extending the length of its own season. In general, though, Plush & Co. see the news as exciting and needed. USIs will be made available for selection by Teams after the NWSL is notified by a Federation that a USI is available for allocation. The USI will be awarded to the Team that selects them, except in the event that more than one Team requests the USI, in which case the Team with the highest Allocation Ranking will be awarded the USI. 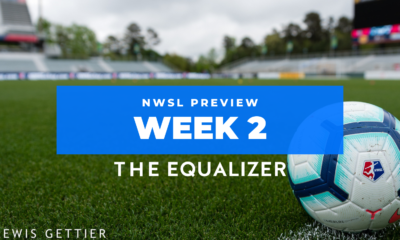 The Allocation Ranking Order will be determined by the reverse order of finish of the prior NWSL season, taking playoff performance into account. The final ranking spot(s) will be provided to the Expansion Team(s). Once a Team uses its Allocation Ranking to select a USI, it will drop to the bottom of the Allocation Ranking Order. Teams may trade their Allocation Ranking, provided part of the compensation received in return is the other Team’s Allocation Ranking. At all times each Team is assigned one Allocation Ranking. The Allocation Ranking Order will reset following the current year’s Championship match. Until the conclusion of the current season, each Team’s Allocation Ranking can only be adjusted by acquiring an USI via the Allocation Process or through a trade with another Team. The complete text of the Allocation Process will be made available on the NWSL website prior to the start of the season.